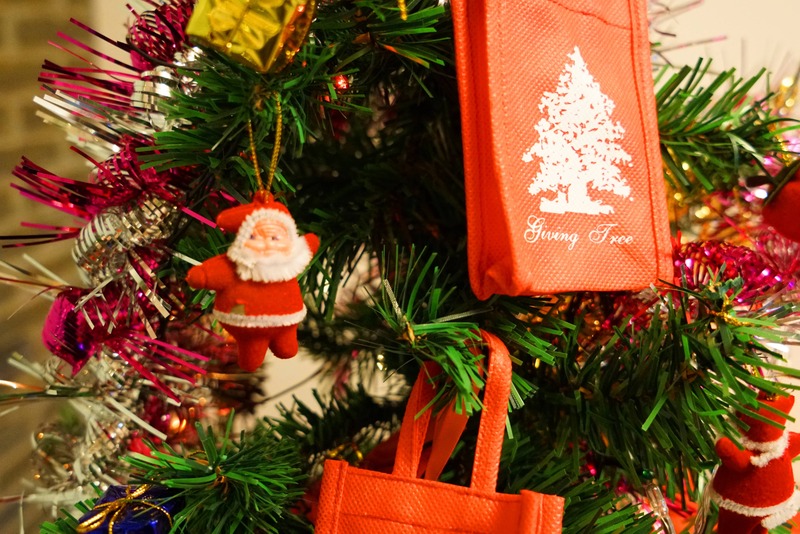 On December 9th, Hutong School hosted a Christmas Potluck Charity Bash with local Shanghai charity, Giving Tree. It was a night filled with amazing people, delicious food, awesome prizes, and a great cause. We appreciate everyone that came out that night to join us and support this amazing cause. Hutong School is so happy to have been able to partner with Giving Tree, which has been instrumental in the Shanghai charity scene. We’re happy to announce that we were able to raise over 3000 RMB for their cause, which helps migrant children in Shanghai and surrounding areas. To learn more about them, you can check them out here! We want to say a big thank you to everyone who brought a dish to the event and to all our wonderful sponsors who donated to our raffle prize. They included vouchers from Sherpa’s, aroma oil massages from Dragonfly, a night in the wonderful 5 star Regal International East Asia Hotel, workout passes from GuavaPass, and much much more! It was a spectacular evening filled with amazing food and drinks, a great deal of fun, and generous support from the Shanghai community. Interested in reading more about our events? Check out our article about our Block Party or our article about our Startup Pitch Night. Are you already packed and ready for a new adventure? Get in touch with our program consultants and start the process. Apply for free, and start asking questions. Apply here.